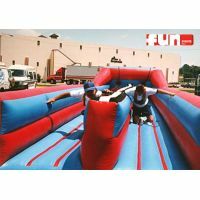 Two opponents race down the inflatable runway before being pulled backwards by a limited length bungee cord snaps back to a soft inflatable landing. 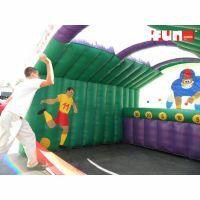 The winner is the one who attaches the Velcro baton the furthest along the inflatable track. 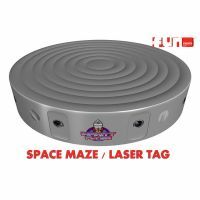 A fun "twist" to an old game! 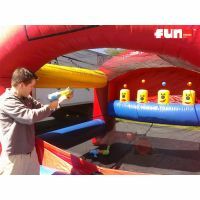 "Right hand on a green dot, left foot on a red one. 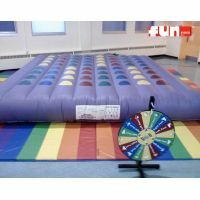 . ." This giant Twister game rental will tie you in knots just like the small one, only you'll have even more trouble standing up on the inflatable floor and keeping your balance! 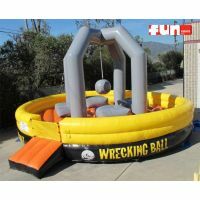 This is a high school post prom rentals favorite. 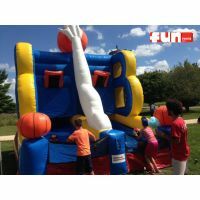 It will take more than just strength in this one on one battle. 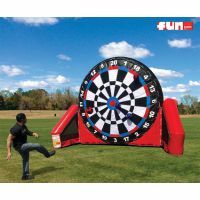 This contest also requires balance, dexterity and quickness. 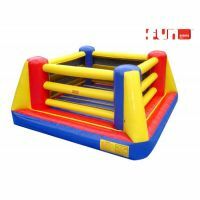 Families and friends will cheer on their champion to victory! 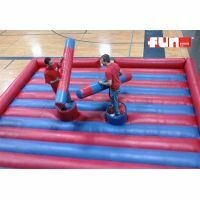 The Inflatable Gladiator Joust rental is fun for all. 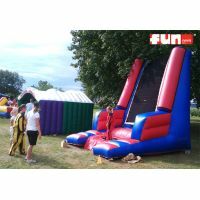 Classic and very challenging special event rental for your party. 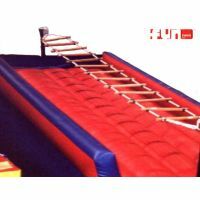 With the Jacobs ladder inflatable game players attempt to climb the floating ladder and make it all the way to the top of the ladder with no support other than their own balance. 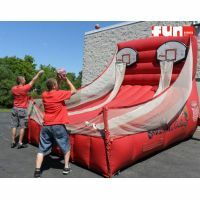 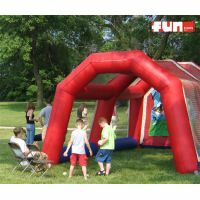 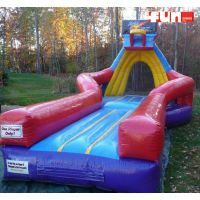 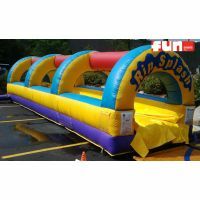 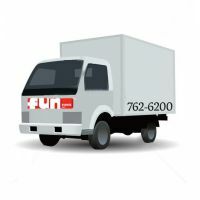 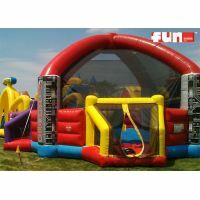 This is one of the fun rentals from our Milwaukee Wisconsin party rentals store. 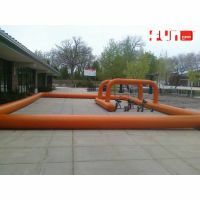 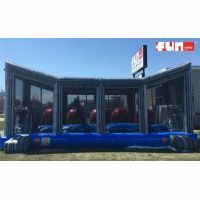 Speed pitch / Sports arena inflatable rental comes complete with radar gun to measure the speed of the baseball being thrown at the baseball player target. 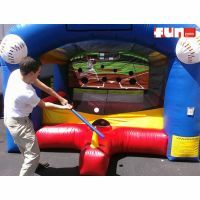 Capture the fastest miles per hour your guest can throw a baseball at the inflatable speed pitch target.